Disrupting The Smart Phone Industry With Quiane Crews, CEO of LPG Technology, Inc. 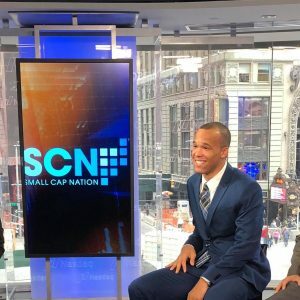 I had the pleasure of interviewing Quiane Crews the founder and CEO of LPG Technology, Inc. Just like many success stories you read about, Quiane dropped out of high school in 2015 to pursue his dreams. Quiane found his success in 2016 after partnering up with a friend drop-shipping on sites like Amazon and eBay where he grossed $1.2M. Mr. Crews partnered up with Shenzhen Communications Co. where they developed smartphones, laptops and wearable devices. In 2017 Quiane parted ways from Shenzhen Communications Co. and started developing technology for his new tech start up LPG. Hey Quiane can you tell us a little about your background story? Quiane: When I was younger I was always into shoes, fashion and technology. I started out doing Network marketing when I was about 17-18 years old. It taught me the basics of being an entrepreneur, being a leader and helped me learn how to build a successful team. At the time I was a senior in high school working at Blue Beacon Truck Wash washing semi-trucks. After spring break in 2015 I decided to drop out of school not knowing 100% what my next move was going to be. June 11, 2015 I found out I was going to be having my first kid and I quit my job the same day. I got back into network marketing and direct marketing to sharpen my skills as a marketer. I found some success with it building one of the biggest movements called Live Free Retire Young with a group of friends. I later ventured into doing Drop-shipping on Amazon and eBay. Once I got the hang of it I built my own website drop-shipping varies of different products from a few sites. I collected my profits from that and started outsourcing to China to sample and develop different products for my tech company. Quiane: and foremost I am thankful for God because anything without him isn’t possible. I am grateful for my good friend/partner Leonard for always believing in me. He has helped me sharpen my skills as an entrepreneur and taught me how to be shark in my field of work. Through all the drama and backlash I was getting in the beginning he didn’t do what everyone else did and just leave. He stuck with me and showed me how to move smarter and more strategically. What advice do you have for anyone who wants to disrupt an industry? Quiane: My best advice to anyone is to know what you want and go after it. The sky is not the limit so DON’T EVER limit yourself. I’m a 22 year old entrepreneur launching a new smartphone later this year. Dreams don’t work unless you do. As you know there’s no age limit to success and the amount of money you can make. Surround yourself with great people, network, TAKE RISK and HOLD YOURSELF ACCOUNTABLE. Throughout my journey I learned that you got to focus on one thing until you are successful at it. Do what you love and love what you do. What inspired you to go after the smartphone Industry? Quiane: I originally came up with the idea December 8, 2015 when I was sleeping in my friend Dakotas car. At the time I had reached out to James Umda an investor out in Canada that wanted to invest $800,000 into my shoe idea. Right when we were about to solidify the deal James and his team backed out last minute. James told us that he was more comfortable with investing into anything that had to do with technology. That’s when I came up with the idea of launching a smartphone. At first I really didn’t know why I wanted to launch a smartphone but I knew it would be something different and something that would challenge me to level up. I created a business plan and got connected with a manufacturer in China that was initially going to manufacture our smartphones. I eventually turned down the deal with James and took on an opportunity to partner with the manufacturer to educate myself on the industry, manufacturing and outsourcing. I started doing more research on how I can possibly make smartphones better. After 2 years of trial, error, research and development we came up with the Proxelo S. We will release the full specs for the Proxelo S this summer at our Launch Event. How can our readers follow you in social media?